United States Army Cross Pendant, made in .925 sterling silver (US Army Cross Necklace). Pendant measures 1 1/8" tall x 13/16" wide (28mm x 21mm). Also available in 14k gold, shown below. 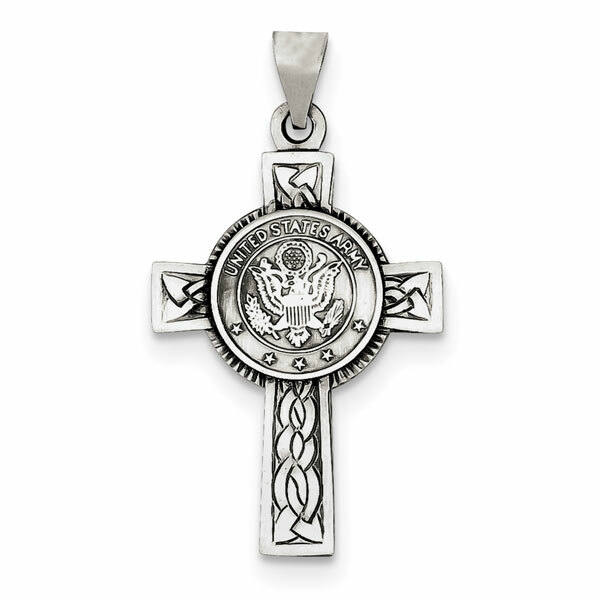 We guarantee our US Army Cross Pendant in Sterling Silver to be high quality, authentic jewelry, as described above.